Delicious and easy to prepare. 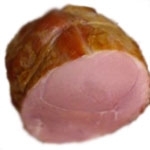 A boneless half ham is a great choice for your next meal. Priced per lb. Delicious and easy to prepare. 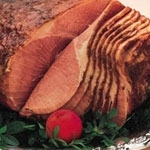 A boneless pit ham is a great choice for your next meal. Priced per lb. Great for parties and for sandwiches. Easy to serve and always delicious. Per lb. 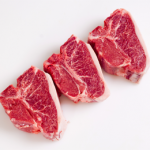 Lamb loin chops are delicious and perfect for a special family dinner. Avg. Wt. 5 lbs. Priced per lb. Full of flavor and easy to prepare. Priced by the lb. 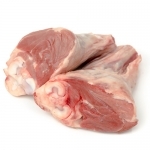 A favorite cut for lamb lovers and perfect for chops, roasts or a combination of the two. We'll cut it as you request. 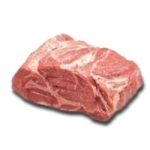 Sold by the section and priced per lb. Avg weight 8 lbs. 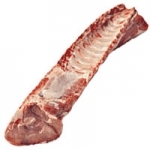 Baby-back ribs come from the top of the rib cage above the loin area. 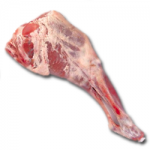 This is the same area that pork chops are cut from. Per lb. 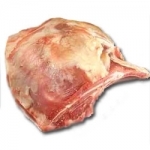 This is a great cut of meat for many applications. 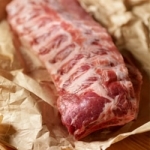 Especially tasty slow smoked and pulled for BBQ pulled pork. priced per lb. Per lb.